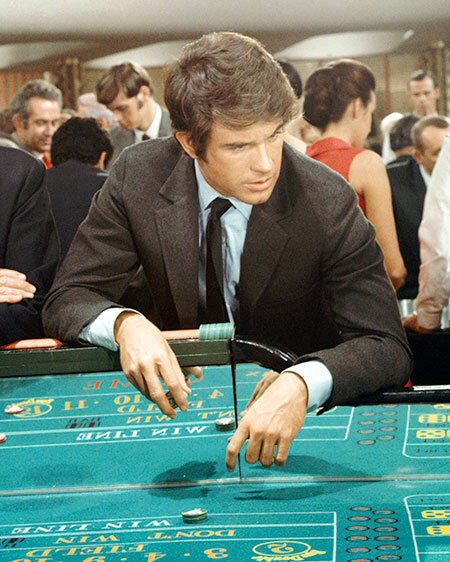 Roulette, which is French for 'little wheel', developed primarily in France. 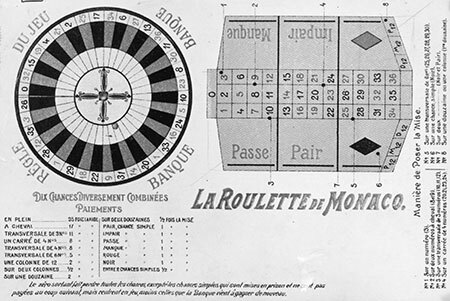 Prior to the development of the precision spinning wheel that distinguishes roulette; other games were played with similar rules and payouts, with the numbers chosen out of a bag or by playing cards. In Italy, those games were calledbiribi (described by Casanova in his memoirs) and hoca. In England, they were called rowlet, roly poly, and ace of hearts. French mathematician and inventor Blaise Pascal (inventor of the syringe, hydraulic press, and calculator) may have pioneered the game of roulette in the mid-17th century. His correspondence with Pierre deFermat (developer of calculus) led to the development of probability theory. Their work started as the answer to a question about a dice game asked by the Chevalier de Mere. Pascal spent a significant portion of his life trying to invent a perpetual motion machine. In 1655, one of his failed attempts was a nearly frictionless spinning wheel. Blackjack's current popularity came from the tantalizing possibility that players can gain an edge and outsmart the casino. Dr. Edward O. Thorp's bestselling Beat the Dealer dramatically increased the skill level and number of players in casino blackjack. Blackjack has, for nearly 50 years, also been a favourite casino game of mathematicians and analysts. More has been written about blackjack than any other casino game. Before the spread of online poker, blackjack was a much more popular subject for analysis than poker. Despite all the analysis, most writers on blackjack have paid little attention to blackjack's history. In 2006, leading blackjack authority Arnold Snyder, in The Big Book of Blackjack (Cardoza Publishing) investigated blackjack's origins and antecedent games. David Parlett, a British author and game inventor, has also published widely in books and online about blackjack's history. The following features define blackjack: deck of cards, player vs. dealer, winner determined by numerical value of cards. The earliest game with those elements was a Spanish game called veintiuna (21). 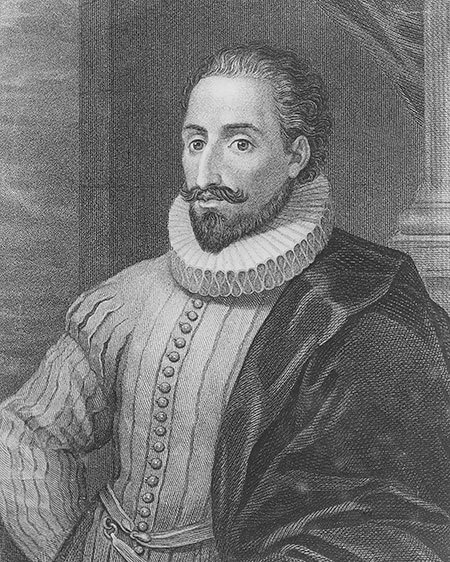 Miguel de Cervantes, best known for Don Quixote, wrote Rinconete & Cortadillo, published as one of his twelve Exemplary Novels in 1613. A gambling game named veintiuna appears in written works as old as 1440 (though there are several unrelated games by this name). A variation of this game was called bone ace in England during the 17th century. In Cervantes' story and in bone ace as described by Charles Cotton in The Complete Gamester (1674), an ace can count as one or eleven. A French predecessor of blackjack called quinze (15), first appeared in the 16th century and was popular in casinos of France into the 19th century. An Italian card name called sette e mezzo (7 & 1/2) was played beginning in the 17th century. Sette e mezzo featured a 40-card deck (removing eights, nines, and tens). The remaining cards corresponded with their numerical value; face cards counted as one-half. Another French game, trente-et-quarante (30 & 40) was played at the Spa Casino in Belgium in 1780. Trente-et-quarante, unlike most of these earlier games, was house banked, meaning the casino played against the players, taking or paying off bets by players. This game was also the first version offering an insurance bet. The rules of modern blackjack came together in the French game vingt-un (or vingt-et-un “21”) in the middle of the 18th century. Enthusiasts promoting the game in France in the late 1700s and early 1800s included Madame Du Barry and Napoleon Bonaparte. In 19th century America, casinos eventually adopted two rules making the game more favourable to players: allowing the players to see one of the dealer's cards, and requiring the dealer to hit hands of 16 and below, and stand on 17 and above. 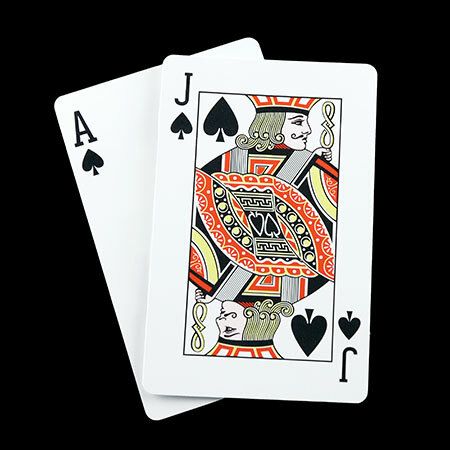 In the early 20th century, the game became better known as blackjack, due to a promotion (briefly tried and long discarded) that paid a bonus if the player made 21 from the ace of spades and a black jack (jack of clubs or spades). Following the popular academic research by Dr. Thorp and subsequent players and analysts, blackjack became the most popular table game in casinos. Although casinos benefited from the development of basic strategy and card counting, they have generally discouraged the practice. 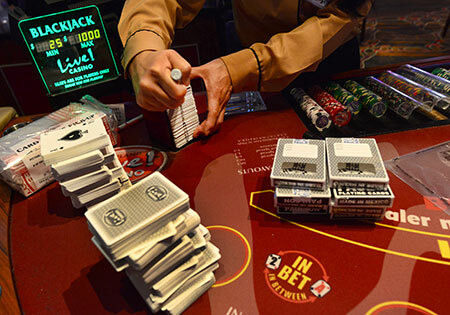 Although numerous court decisions have established that counting cards is not a form of cheating, casinos in most jurisdictions have the right to bar players for any reason. Individual casinos also modify blackjack rules (sometimes differing from table to table): different numbers of decks, different deck penetration, house hitting vs. standing on soft 17, limits on splitting and doubling, and offering or not offering surrender. Books like Ken Uston's The Big Player (1977) and Ben Mezrich's Bringing Down the House (2002) described the fortunes made (and sometimes lost) by teams of blackjack card counters. Mezrich's book became the popular film 21. The word craps is an Americanised variant of the word crabs from 19th century French. Crabs was a term for double-ace, the lowest throw possible in hazard, the dice game from which much of modern craps developed. Similarly, the French word crapaud, or toad, referenced the position of people playing dice crouched down over a floor or sidewalk to better view the roll. Dice games, however, have been around since the dawn of recorded history. 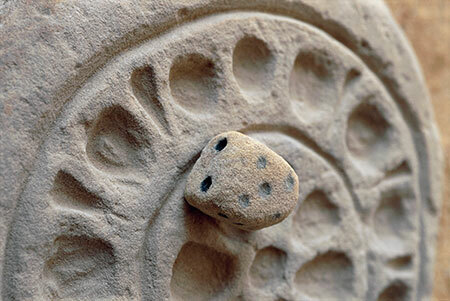 Archeologists have unearthed six-sided dice in Mesopotamia (northern Iraq) from as early as 3000 B.C., which were marked with pips instead of numerals, dice from Pompeii, and limestone dice from 600 B.C. in Egypt. Some dice were carved from square-shaped knucklebones of pigs and heel bone of sheep, thus the original term of rolling the bones.Many Roman emperors loved dice. Julius Caesar famously proclaimed, on crossing the Rubicon River, 'the die is cast'. Claudius ordering a special table on which to roll dice while traveling in his carriage. Caligula was the notorious for being a bad loser. Nero famously bet his people's treasury money on a few rolls of the dice. The Arab Peninsula saw an original dice game called azzahr transform into hazard. The earliest forms of hazard were recorded in the twelfth century and even mentioned in Chaucer's Canterbury Tales, though the game may date back to the Crusades. 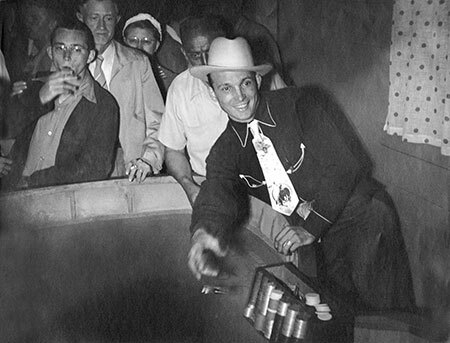 The complicated game of hazard developed through the years into a table game that easily fit into the repertoire of early casinos. French players brought the game to America through New Orleans. Today's craps began to take shape when John H. Winn introduced the 'don't pass' betting option to give the casino an edge without resorting to cheating, a problem in American casino games in the 19th century that offered little advantage to the house. Though craps is simplified from its hazard origins, the development of the game continued to offer numerous betting options and a group wagering atmosphere that relied on the shooter of the dice to make money for all players. Soldiers during World War II popularised the game by playing on an Army blanket for dice control. 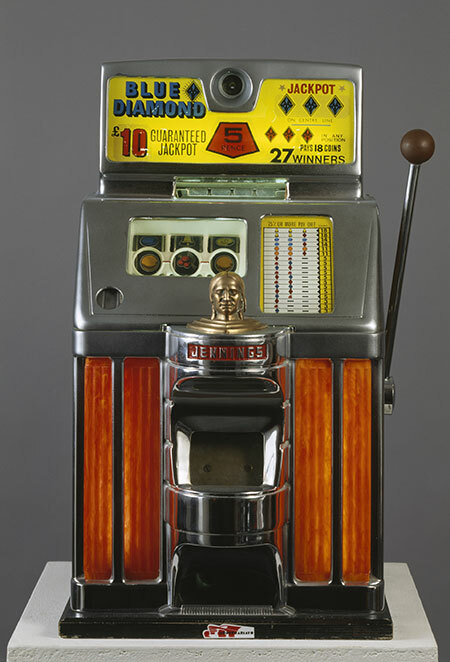 Coin machines in casinos and other gaming establishments developed simultaneously in England and the USA in the last decade of the 19th century. In both places, slot machines became popular as part of the trend toward 'automatic' devices in everyday life. The generation innovating slot machines also created phonographs, motion pictures, cash registers, and vending machines. In 1890, Punch satirised daily life in the immediate future 'From the Diary of the Automatically Conducted'. The article started with '7 A.M. turned out of automatically constructed bed and deposited on the floor. Am picked up and hurled into an automatic dressing, washing, and shaving chair, after which, being dressed by self-acting machinery, dressed by switch-back lift to dining room, where I am fed by an 'automatic private breakfast supplier'. 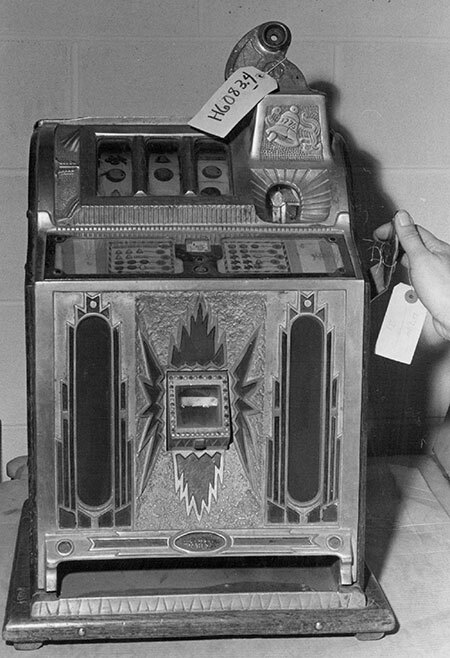 The slots of the period 1900-1960 had the following common features: a slot to insert a single coin, a window revealing three reels containing a variety of symbols, a pull handle initiating the sequence of spinning the mechanical reels, payouts for lining up certain combinations of symbols, and automatic payout in coins from the machine. England granted the first patents for coin-operated spinning-wheel games. In 1887, William Oliver developed a horse racing game in which the toy horses moved on concentric mechanical wheels. Two years later, Anthony Harris patented a wall-mounted spinning dial game. 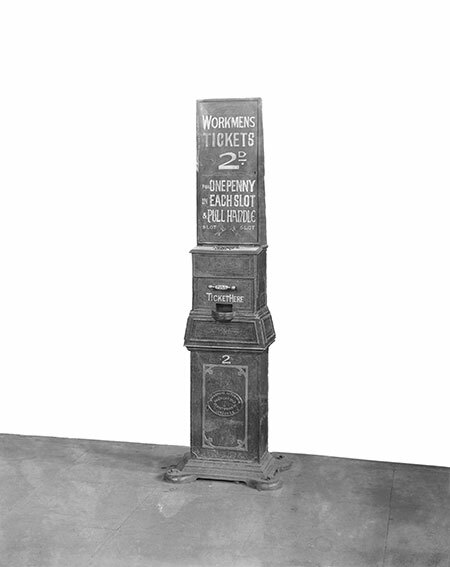 At the same time, a group of San Francisco machinists led by Charles Fey created the first recognizable slot machines. Fey's Liberty Bell became the basis (and even the name) for popular slot machines for several decades. This generation of machines featured three spinning reels, a pull handle, play on a single coin, and payouts for matching symbols among hearts, spades, diamonds, horseshoes and bells. Each reel contained 10 symbols, creating a maximum of 1,000 combinations. Initial versions required hand payouts, the largest of which was twenty nickels for lining up three bells. Within a decade, Fey's machines included wheels that stopped in sequence (heightening suspense for players) and automatic payouts. In the first decade of the 20th century, Herbert Mills of Chicago, Illinois, USA developed slot machines that copied Fey but added features to survive legal challenges. The Mills machines expanded the reels to 20 symbols, creating 8,000 possible combinations. 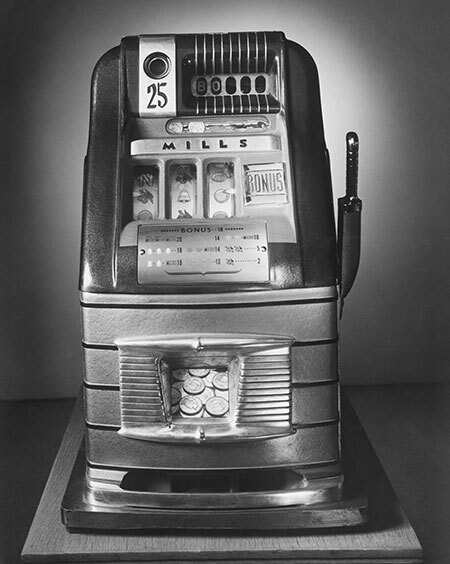 (To make the machines appear distinct from Fey's, Mills included symbols of cherries, oranges, lemons, and plums, leading to the nickname 'fruit machines' which remains popular today, especially in Great Britain.) They also had larger viewing windows, so players could see their 'near misses' above and below the payline. Bally revolutionised slot machines in the 1960s starting with a game called Money Honey. Money Honey debuted in late 1963. By taking advantage of advances in electronics, Bally machines remade slots in the image of the Las Vegas Strip: bright colours, flashing lights, loud noises, and the promise of fast action. Money Honey also featured a coin hopper (a compartment capable of holding 2,500 or more coins) and a metal tray at the bottom, into which payouts loudly cascaded at a rate of six coins per second. By 1968, Bally provided 94% of Nevada casino slots. These machines also introduced multi-coin play. Bally's success made slot machines much more popular in Las Vegas, creating competition to develop different and better machines. The electrical features of Money Honey started the trend in slots toward electronic and eventually computerised components. In 1979, Bally distributor William 'Si' Redd started International Gaming Technology (IGT), which dominated slot machine innovation and sales by the end of the decade. Shortly after IGT's founding, it introduced the first video poker slots. 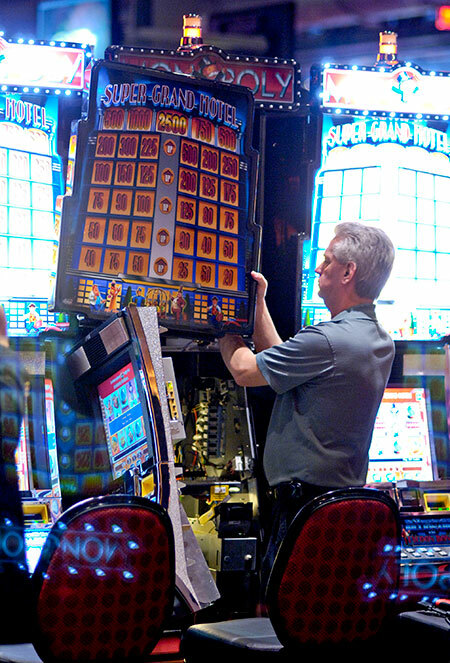 Meanwhile, a computer technician named Inge Telnaes developed a computer program that ran slot machines based on a random number generator (RNG) instead of physically spinning reels. This 'virtual reels' program made it possible to offer jackpots with astronomical payouts whilst still operating profitably. IGT licensed this technology in 1984. In 1986, it introduced Megabucks, the largest and most popular progressive slot jackpot. Megabucks linked machines throughout the state of Nevada. In 1992, Bally introduced Game Maker, a video slot machine that allowed players to choose between different slot games (and video poker games) and denominations. 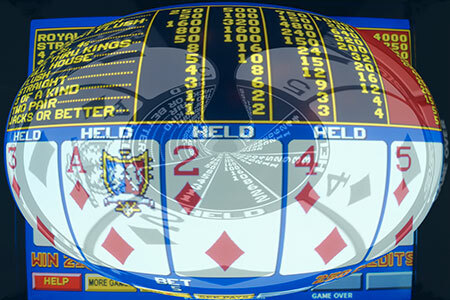 Game Maker and IGT's success in video poker games led to increased use of video animation (with buttons and eventually touchscreens augmenting but not completely replacing pull handles). In the late 1990s, slots began offering multi-line payouts and bonus events triggering additional screens or game features. Australia's Aristocrat Leisure Ltd. pioneered video slots (also known as Pokies in Australia) offering multi-line payouts. WMS Gaming, with its popular Reel 'Em In video slot machine, also advanced interest in video animation and bonus events. An early bonus feature was a roulette-style wheel at the top of the machine, activated by a certain combination of reels. Bally initially offered this bonus with Wheel of Gold. In 1997, IGT licensed the use of the popular American TV show Wheel of Fortune for slot machines. Its Wheel of Fortune machines incorporated the look of the TV show's wheel and the sound of an audience chanting 'wheel … of … fortune!' when players hit the combination allowing them to spin the wheel. 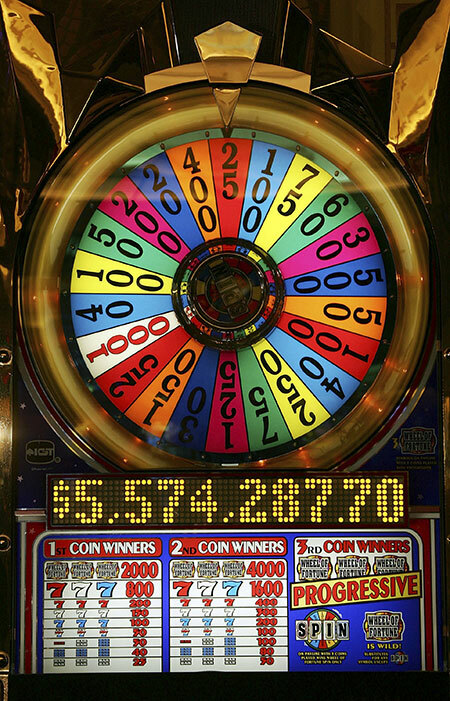 Wheel of Fortune has become the most popular slot machine of all time. It also ushered the era of 'theme machines'. In 1998, IGT offered the first Elvis slots. 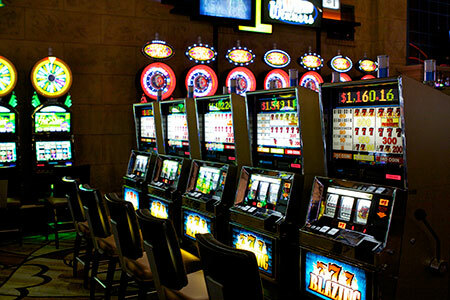 The last several years have concluded the transformation of slots. Although the machines originally began looking and working like vending machines, they now have the clean yet complex design of personal computers and home gaming and entertainment systems. Just as chips have replaced cash in other casino games, credits and tickets have replaced coins in slots. During the late 1980s, machines began including digital meters logging coins inserted and owed to players. In the following decade, slots started accepting cash in addition to coins and metal tokens. (Many land-based casinos are now coin-free.) The transition away from coins became complete when slots dispensed with hoppers in favour of TITO (ticket-in/ticket-out) readers. Players can insert cash or tickets representing credits. The machine dispenses credit tickets instead of coins. Casino kiosks resembling ATMs help players change cash into credit tickets and redeem tickets for cash. 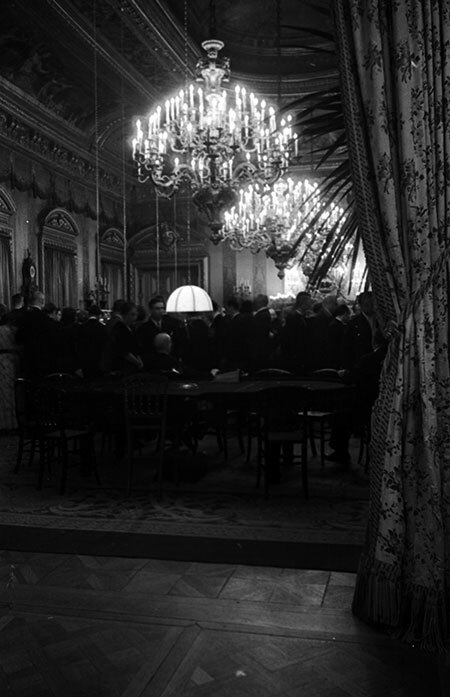 The roots of baccarat date back to the end of the 15th century. The Italian game baccarà (meaning zero) was popular in many Italian cities and towns, and the French borrowed it and changed the name to baccarat. As casino players in Europe desired more card games to play, baccarat increased in popularity. The game became quite popular during the reign of the Sun King, Louis XIV, who introduced it to the aristocracy. Baccarat also became part of British casino games offered in the 18th century. It was also popular in Monte Carlo in the 19th century. 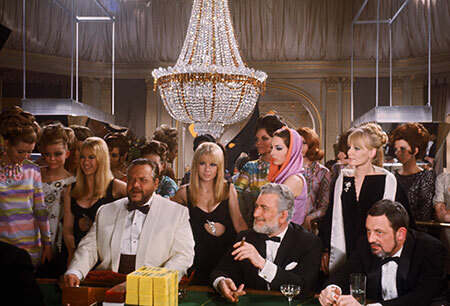 Baccarat received its modern boost as an elegant, high-stakes casino game by the James Bond films. 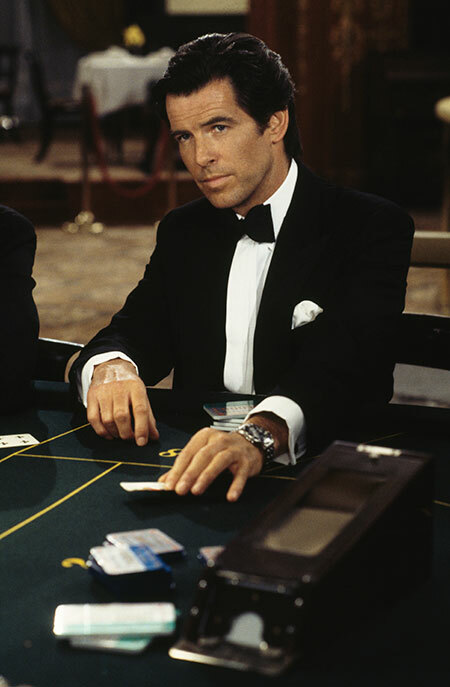 The super-spy plays baccarat in Dr. No (1962), Thunderball (1965), Casino Royale (1967), On Her Majesty's Secret Service (1969), For Your Eyes Only (1981), License to Kill (1989), and Goldeneye (1995). Today, three versions of baccarat remain popular. Baccarat chemin de fer and banque remain popular in France and Monte Carlo, while punto banco is common in North American casinos as well as some in the UK. All of the games are played virtually the same, with some differences in how the cards are dealt. While high roller sections of any casinos offer one of those versions, casino floors for conventional gamblers offer mini baccarat, a smaller table with lower limits.